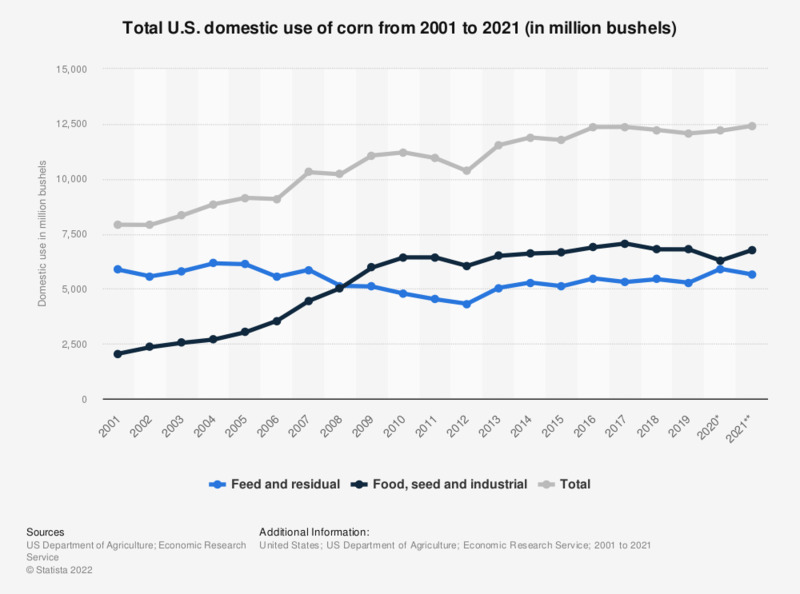 This statistic shows the total domestic use of corn in the United States from 2001 to 2018. In 2016, approximately 5.47 billion bushels of corn were used for feed and residual purposes in the United States. Latest data may be preliminary or projected.